You may have a really efficient makeup or morning routine but it can become really difficult to keep up with it while traveling. Carrying all the essential must-haves like shampoos, lotions, makeup, toothpaste, and other similar products can become really hard. There is also the fear of spilling liquids or any bottles breaking, as well as the many other TSA regulations you have to keep in mind. This is why it is important to have one safe location to store all your necessary serums, lotions, and other toiletries in one handy location. Toiletry kits first became popular during World War I when US military services issued them for the soldiers. There are many toiletry bags which have been recommended by makeup artists and other people with elaborate skin-care and beauty routines. With many different types of toiletry bags, it can become hard keeping track of the best ones. We have compiled a list of amazing toiletry bags that you can invest in for your next traveling exertion. The MelodySusie toiletry bag has an amazing 23 compartments for all your needs. It has a lot of space since it is one of the largest bags in the market. This makes it perfect for heavy packers or for two people sharing the same bag. It comes in delightful colors of peach, black, and blue and has an adjustable shoulder strap so that you can carry it like a purse or hang it on a hook as per your needs. The bag is made from water-resistant materials, which means that even if your soaps, shampoos or lotions end up leaking, it won’t make a huge mess. It has extra cushioning which protect the items inside from breaking. It also comes with a long warranty of 12 months, which means that it is a very reliable item. 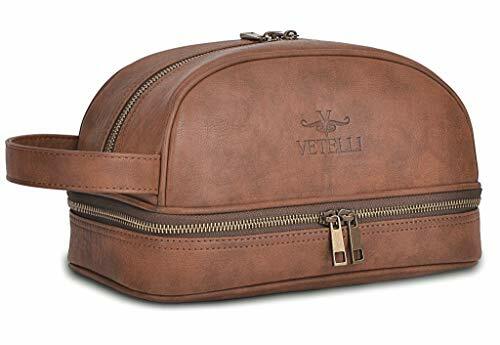 The Vetelli Toiletry Bag is inspired by the classic Dopp kit which made toiletries a popular purchase. It is made from high-quality PU leather and is geared towards men who love vintage styles. It has a waterproof lining on the inside to protect the leather and the luggage contents from any potential spills. It has two large compartments to store all your toiletries in an organized manner. It is a great gift for the men in your life and will last them for a long time. It also has two mesh compartments that are easily accessible even under the morning rush. It also comes with a complimentary set of silicone travel bottles in which you can store all your necessary items like shampoos, soap, conditioner, lotions, etc. The bottles are also compliant to the regulations set by the TSA, which means that you will have no issues at security checks. The IQ Travels Toiletry Bag is perfect for everyone since it is customizable, allowing you to change it up according to the journey you are about to embark on. It has three detachable pouches that travelers can use. The bag is waterproof to ensure that your luggage will be protected in case of spills and comes with a briefcase-style handle. The bag can be used to store all your toiletries such as shampoo, conditioner, shaving kit, makeup, and other essentials. 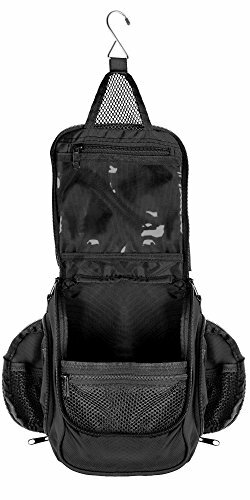 The mesh pocket design makes it easy to see where everything is stored for added organization. It also has small side pockets for your charger, headphones, and documents. Keokee Clear Carry On Bag is perfect if you want to meet the strict TSA restrictions for liquids. The material is durable and can hold small bottles of 3.4 ounces or less. Since you can see all the items through the clear material, it becomes easier to find your toiletries and separate items during security checks. You can also use it to keep your charging cables, headphones, or jewelry. If you aren’t traveling, you can use it to store other items like crafter items, crayons, pencils, art supplies, and much more. 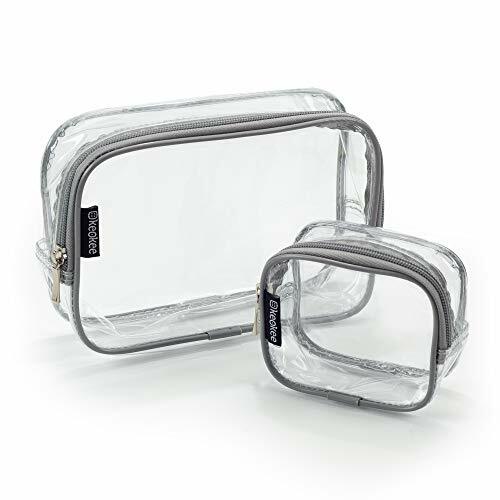 The Relavel Hanging Toiletry Bag has a really simple design that includes seven mesh compartments. You can efficiently organize all your toiletries in a convenient way and it can hang on bathroom hooks for easy access. Since they can hang anywhere they don’t even take up counter space in the bathroom and every item is easy to retrieve. 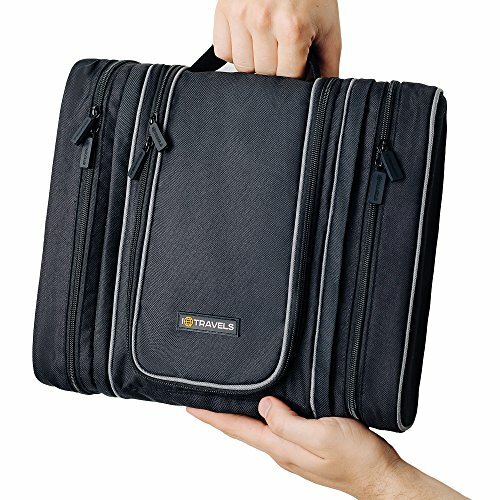 The bag is foldable so that you can easily store it when it’s not in use. The bag is a little on the smaller size, which means that you may have to get travel sized bottles instead of larger shampoo and conditioner bottles. The bag comes in blue, pink and black, and has enough capacity to store all your toiletries. The material is durable and washable. 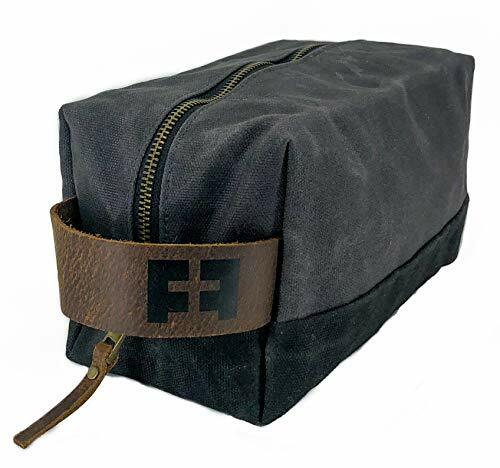 The Fat Felt Dopp Kit is made of soft waxed canvas and hard waxed canvas exterior. 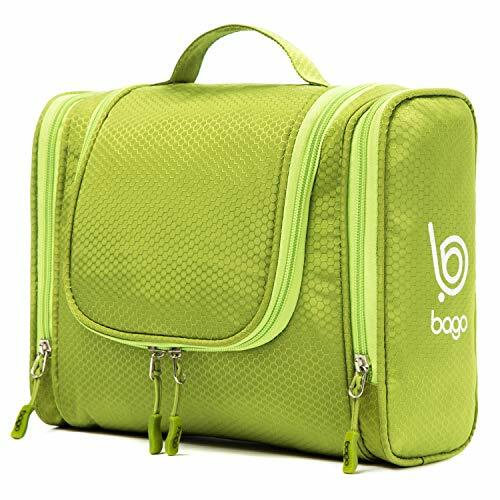 This means that it is one of the most durable toiletries bags in the market and will serve you well even under rough use. The handle is made of vegetable-tanned leather and comes with a finger loop that makes it easy to carry anywhere on the planet. It can be used to store makeup and traditional toiletries. While you aren’t traveling, it can double as a tool kit, first aid kit, artist’s bag, baby bag, and much more. It makes for a great and stylish gift and has a water-resistant lining on the inside to protect your luggage. It also comes in five amazing earthy colors. The Neat Pack Toiletry Bag is a compact bag that is perfect for you if you are a frequent flyer. It is made with antimicrobial durable, nylon fabric and can last for a long time without any wear and tear. The company offers lifetime durability due to the high-quality fabrics used to make the bag. The toiletry bag is slim but has enough compartments to store all your essential items. The bag has side pouches for easy organizing and comes with a top hook for easy access and display of items. The bottom is made of a sturdy material that rests comfortably on the counter or you can hang the bag so that you have more counter space. 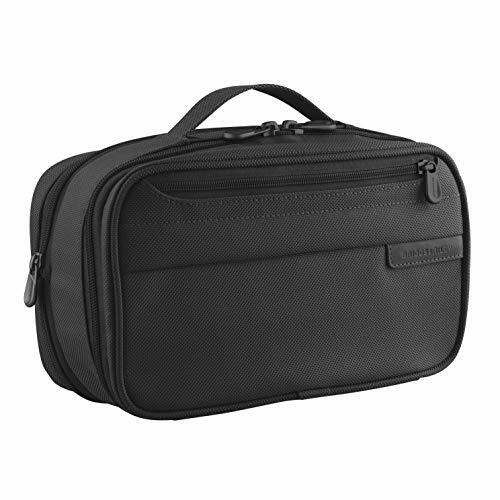 The Briggs & Riley Baseline Expandable Toiletry Kit has a webbing top handle that makes it really easy to carry on your travels. It has expandable compartments which provide the necessary depth so that you have ample packing space. The zipper pocket on the front is perfect for small items like headphones or chargers. It has a rubber bottom which protects the bag and the items even if you place it on wet surfaces like the bathroom counter. 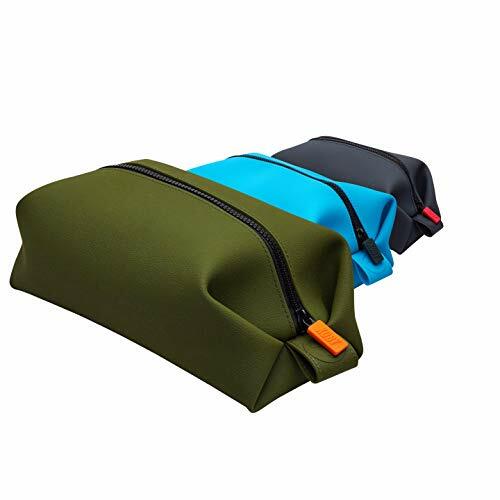 The toiletry bag’s fabric is made from high-quality 2520D ballistic nylon which resists abrasions, dirt, water, and wear. This ensures that the toiletry bag will last you a long time. The Tooletries Koby Bag is leak-resistant and made from 100% antibacterial material. It is easy to clean and is designed to work as a wet suit but feel like leather. It has a heavy-duty zipper and hanging chain so that you can access your toiletries in the shower. You can also hang it on any bathroom hook, which means it won’t take up any counter space on the bathroom or dresser. The bag is big enough to store full-sized products, which means you won’t have to worry about shopping for more on long trips. 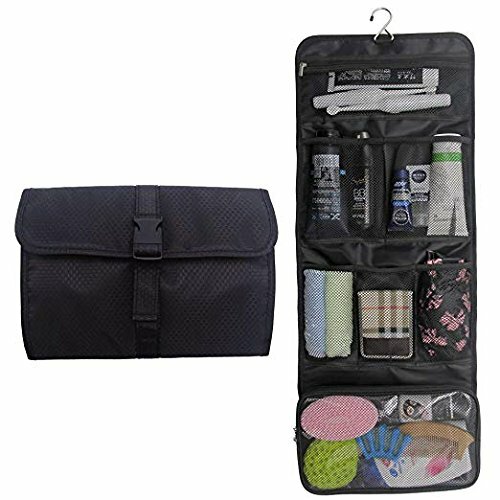 The Bago Hanging Toiletry Bag is a stylish bag that you can take on adventures while camping or to a luxury hotel. It can save you a lot of valuable bathroom space since you can hang it on any bathroom hook. 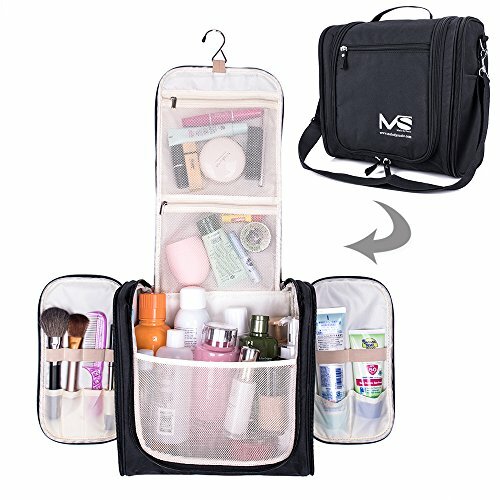 The bag has the perfect compartment space for every kind of toiletry such as deep spaces for cleansers and makeup and tall, skinny spaces for toothbrushes and tweezers. The toiletry bag comes in 7 different colors, which means you can choose one that fits your personal tastes. A great toiletry bag is one which can store all your personal items without taking up too much space in the suitcase. 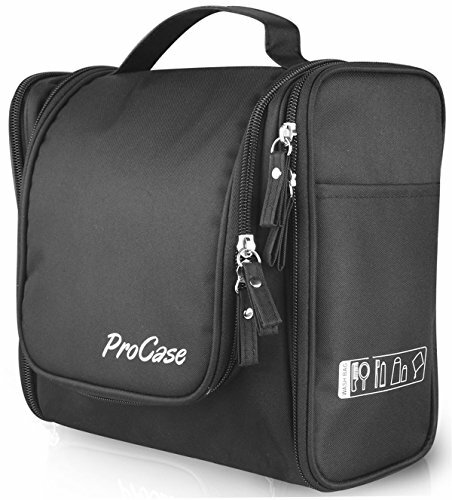 The ProCase Toiletry Bag comes with a hanging hook so that you don’t take up counter space and measures just 10 inches in all dimensions. It can be expanded to store all your items easily and has specific spots for all your toothbrushes, razors, tweezers, and other larger items. It is made with high-quality, durable 420D nylon which can withstand wear and tear easily. The bag also has a front mesh pocket which you can use to store your smaller items like headphones, rings, and pens. 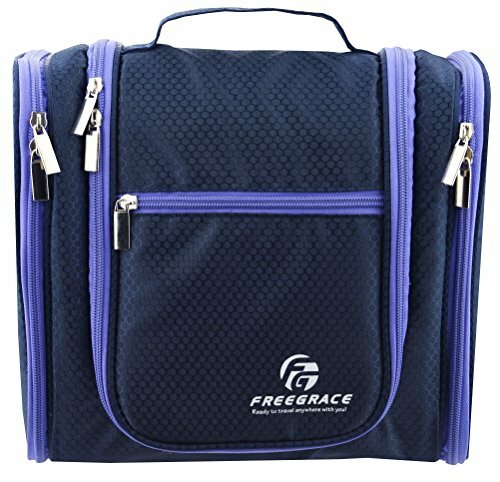 The Freegrace Hanging Toiletry Bag is an affordable bag that looks stylish and can store all your personal items with ease. It’s a simple design that gets the job done and serves as a makeshift makeup bag as well. It has a large storage space for all your essentials and is a lightweight bag that won’t take up a lot of space in your suitcase. The numerous compartments allow you to organize all your personal effects for easy access. Its made from honeycomb nylon which is durable and cushions all the items stored inside. The bag comes in eight amazing colors, which means that you can get one that matches your personal tastes. 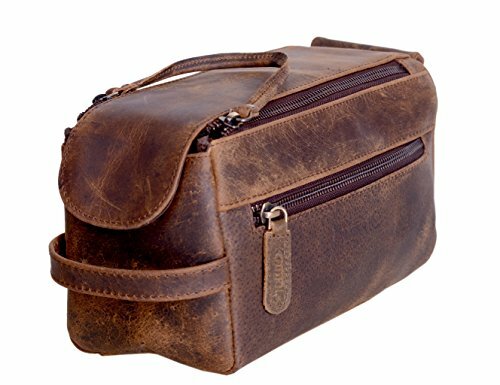 The Komalc Leather Toiletry Case is made from the finest ethically-sourced buffalo full grain leather. It’s tough and durable which means it will last you for a long time. The bag is handcrafted by experts and designed to look vintage and retro. The interior is lined with water-resistant materials which protect all your other items from spills. It has heavy duty fittings and YKK sliders and zippers ensuring that you won’t face any problems on your travels. It also has double stitching and thick handles which ensures that you can easily carry it anywhere without any issue. The toiletry bag is a great gift for your friends and family since it is a really handy purchase. No matter what type of toiletries or makeup you want to take with you, there is an option that will fit them all. So, order the one the suits your needs and have a carefree traveling experience.